CakeSpy is not only the best website in the world, but it is also my job. I am not a millionaire by any means, but I am occasionally a hundredaire based on my income generated by the site (via various channels: selling my artwork, advertising, book royalties, et cetera). It's pretty much the best job ever, but I wouldn't say it's always easy. 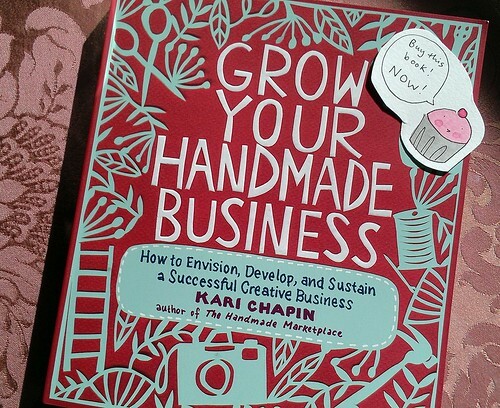 And gosh, when I started the business, I wish I had a book like Kari Chapin's Grow Your Handmade Business: How to Envision, Develop, and Sustain a Successful Creative Business . Are you ready to make a living from your craft? Applying her trademark "you-can-do-it" coaching style to the nuts and bolts of business planning, Kari Chapin covers all of the issues involved in turning your creative hobby into a successful business--from mapping out a business plan to expanding production and distribution, finding funding, and addressing legal matters. With this definitive guide, you'll discover how to grow your business beyond the dining room table and finally quit your day job. But the upside of the fact that I didn't have this book is that I had to go through lots of ups and downs and growing pains, and I got to share some of them in this book. 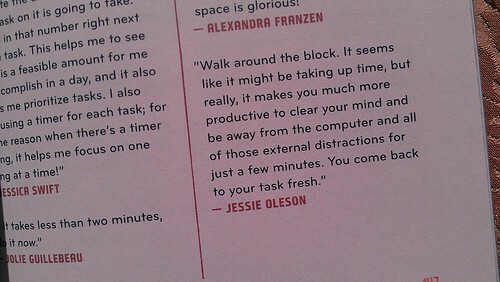 You can read about my business mission statement (pictured above), tips on how to be more efficient (below), and more! So, basically you can learn from my experiences (and those of other business owners I admire, such as Lisa Congdon, Kristen Rask, Allison Lee, and others!). This is a fantastic book for small/alternative business owners of any type; if you're a crafter or artist of some type, even better. 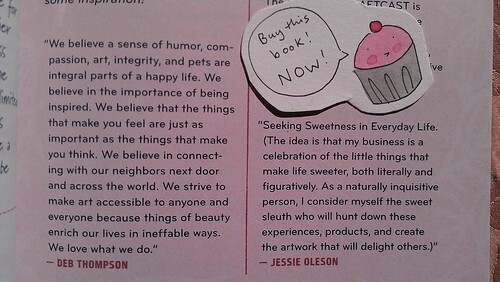 Buy the book here: Grow Your Handmade Business: How to Envision, Develop, and Sustain a Successful Creative Business . 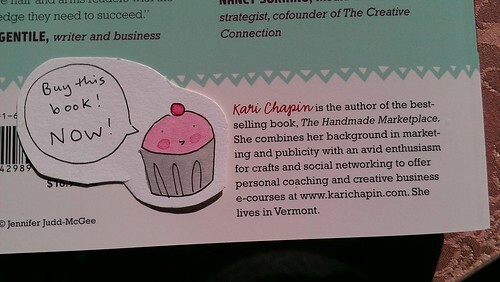 Visit Kari's website here.